Leyton Orient owner Barry Hearn plans to change the club's name to London Orient if its bid to ground-share the Olympic Stadium with West Ham succeeds. He said changing the League One club's name would be part of a "rebranding exercise" to link it with the city. "When you are looking for a new future, you need a new title," Hearn told BBC Sport. A decision on the successful Olympic Stadium tenants from four bidders is expected later this month. Orient and West Ham face competition from Intelligent Transport Services in association with Formula One, and UCFB College of Football Business. Hearn said Orient had undergone several name changes down the years, but admitted a switch would not be popular with all supporters. "There will always be opposition. You can't expect everyone to agree with us in a democracy," he said. "There isn't a team that's named after the capital. It's unique, the same as our little football club. It's a stepping stone to great things. "We need a new branding exercise. Leyton Orient has been there, Clapton Orient, Orient, there has been a few changes over the 130-year history." The owner believes the east London club, which had average attendances of 4,298 at Brisbane Road last season, could attract crowds of up to 27,000 at the Olympic Stadium through a series of ticket offers. 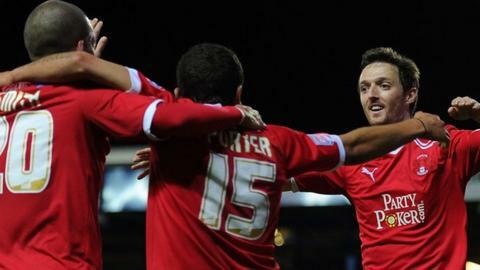 "I think we have got to look at changing the face of Leyton Orient. The first thing is to change the name to London Orient, the second thing is to look at giving free season tickets to the under-18s in London and members of the armed forces," said Hearn. "Any new family that moves in to the area should get a free introductory season ticket for the whole family. "The lower tier capacity would be 27,000 and we are quite confident we can sell that out with our ticket incentive schemes and hopefully by then, a more successful team. "We need to appeal to a wider audience, we need to put a lot of money in to strengthen the squad which hopefully we will do to move up at least one division. "We need a new atmosphere about the place. We are little Leyton Orient, we don't want to miss out on our community service and renaming the club is the beginning of changing the whole attitude." Steve Jenkins, deputy chairman of the Leyton Orient Supporters' Club, which is a major shareholder in the club, said: "The main thing is the word Orient is used in the name. "They are trying to raise the profile similar to a city club like Manchester or Newcastle. One thing the supporters may be concerned about is losing their identity as an east London club." Hearn has previously been critical of West Ham's plans, and the Hammers have indicated they do not want to ground-share with Orient. "West Ham would prefer to have the stadium on their own but that means one match a fortnight, and it needs to be busy. Orient playing alternate Saturdays just creates the vibrancy the Olympic Park needs," he said. He said the London Orient name is only likely to be used if the club moves to the Olympic Stadium. "If West Ham moved in there and we didn't, we're pretty sure we would go out of business so it could be called whatever if you like," he said.